Let's vote for a government that is environmentally accountable; a government that approaches development with sustainability as its core principle; a government that prioritizes environment conservation over myopic economic booms. 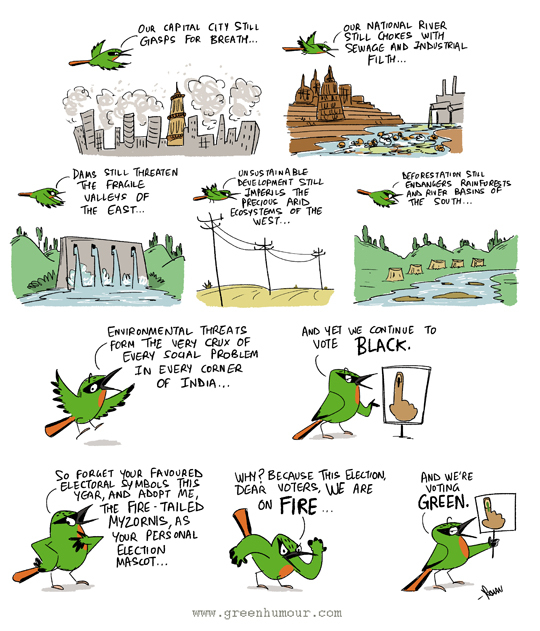 Let's vote green with the Fire-tailed Myzornis! From my column with Sunday Mid-Day.